If the U.S. is to maintain its competitive advantage in the global economy, we need to ensure that our young people—especially girls—can reach for careers in science, technology, engineering, and math (STEM). In the past 10 years, growth in STEM jobs has been three times greater than that of non-STEM jobs. Today 80% of the fastest growing occupations in the United States depend on mastery of mathematics and knowledge and skills in hard sciences. While women comprise 48% of the U.S. workforce, just 24% are in STEM fields, a statistic that has held constant for nearly the last decade. While 75% of all college students are women and students of color, they represent only 45% of STEM degrees earned each year. Too many of these young women begin in STEM degree but leave those degree paths despite their good academic standing, often citing uncomfortable classroom experiences and disconcerting climate. Even when women earn a STEM degree, they are less likely than their male counterparts to work in a STEM field even though STEM jobs pay more and have a lower wage gap: 92 cents on a dollar versus 75 cents in other fields. According to the Girl Scout Research Institute study Generation STEM: What Girls Say about Science, Technology, Engineering, and Math, though a majority of today’s girls have a clear interest in STEM, they don’t prioritize STEM fields when thinking about their future careers. The study shows that 74 percent of teen girls are interested in STEM subjects and the general field of study. Further, a high 82 percent of girls see themselves as “smart enough to have a career in STEM.” And yet, few girls consider it their number-one career option: 81 percent of girls interested in STEM are interested in pursuing STEM careers, but only 13 percent say it’s their first choice. At Girl Scouts, we are committed to engaging more girls in STEM activities through a unique approach. Generation STEM study found that the creative, hands-on, and problem-solving aspects of STEM hold great appeal for girls. 79 percent of all girls in the study like to solve problems, 72 percent like to do hands-on science projects, and 70 percent ask questions about how things work and seek to answer these questions. Hands-on learning techniques are core to the Girl Scout program and have been since 1913, when Girl Scouts created its Electrician and Flyer badges—the very first STEM-related badges. Girl Scouts’ unique approach to girls and STEM learning is grounded in the Girl Scout Leadership Experience, which ensures that activities are girl led and involve learning by doing and cooperative learning. 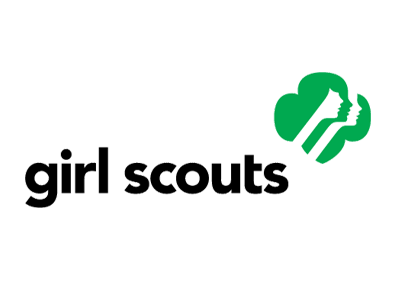 Girl Scouts’ 112 councils across the country offer the Girl Scout Leadership Experience in many ways, including troops, camps, events, series, and travel. Girls can participate after school or during the summer. Our girl-centered environment, unique national program, unparalleled delivery infrastructure, and unrivaled position as the expert on girls’ healthy development all enable us to successfully engage girls in STEM.